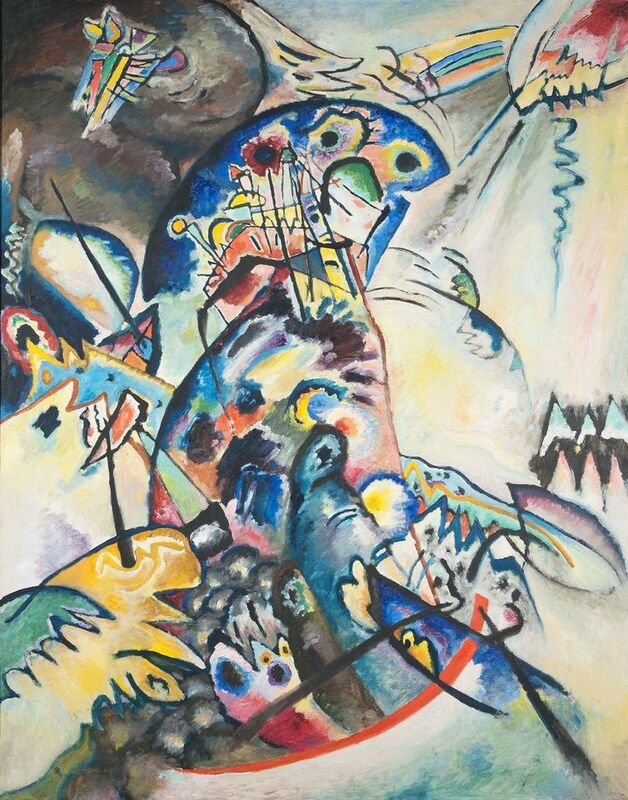 Works by Wassily Kandinsky from the State Russian Museum in St Petersburg that went on show in Riyadh on Tuesday at Crown Prince Mohammed bin Salman’s (MBS) controversial “Davos in the Desert” are a teaser for a major exhibition on the Russian avant-garde artist to be held in the desert kingdom as part of expanding ties between Russia and Saudi Arabia. Russia’s show of cultural support comes as a number of major international business leaders and government officials pulled out of the event due to ongoing controversy over the disappearance and killing of Saudi journalist Jamal Khashoggi in the Saudi Embassy in Istanbul this month. Sotheby’s CEO Tad Smith, who was scheduled to speak on a panel with Mikhail Piotrovsky, the director of the State Hermitage Museum, cancelled last week. The Russian Direct Investment Fund (RDIF), Russia’s sovereign wealth fund, brought a 30-strong delegation of top executives and cultural figures to Riyadh. Following a 2015 visit to Russia by the Crown Prince, Saudi Arabia’s Public Investment Fund has invested $2bn in projects with RDIF. Kommersant, a business newspaper, cited sources saying that the exhibition might correspond with the anticipated but as yet unscheduled visit of the Russian President Vladimir Putin to Riyadh. Piotrovsky told Russia’s official RIA Novosti news agency about his conversation with MBS during his meeting with the Russian delegation. “We spoke about the museum, [MBS] spoke about the museum boom that exists in Saudi Arabia right now, and about how we will cooperate with the museums, the museum organisations of Saudi Arabia, in archeological matters, joint expeditions, joint exhibitions,” said Piotrovsky, who also told the news agency that he had presented MBS with a book about the Hermitage’s collection of oriental weaponry. Arabia is Piotrovsky’s sphere of academic expertise.